Connect Tech Inc. will be presenting the COM Express Type 7 + GPU Embedded System and the Rogue Carrier for NVIDIA Jetson AGX Xavier at Embedded World 2019 in Booth 1-430 from February 26-28 in Nuremberg, Germany. The COM Express Type 7 + GPU Embedded System is a combination of Intel Xeon D and Atom C3000 x86 processes and NVIDIA Quadro and Tesla GPUs and can focus on up to four independent display outputs, or a headless GPGPU processing system using CUDA cores. 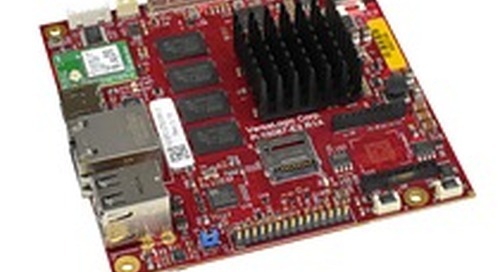 The COM Express Type 7 + GPU Embedded System caters to deep learning and artificial intelligence, among other applications, Connect Tech claims. For more information, visit http://connecttech.com/.